Most people keep essentials in theirs bags, like keys, wallet and phone. When you’re a mom, there are also other things that become essentials, like wipes, bandaids and of course snacks, lots of snacks. If you don’t, there is likely to be some sort of melt down or fuss to occur and possible a stop made to purchase a quick snack to curb that child’s insatiable hunger, even though they probably just ate lunch 15 minutes ago. For some reason, kids are just starving when they are out of the house! To keep everyone’s sanity, it’s a good idea to have a few snacks with you when you leave. 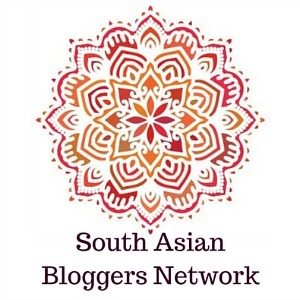 Here are 10 of our favourite snacks to take with us when were are out and about. My kids love granola balls. Not only are they tasty, they are portable, small and easy to eat on the go. Bonus, this recipe is so simple, no baking is required and they freeze really well. We always have a box of cheese string in our fridge. 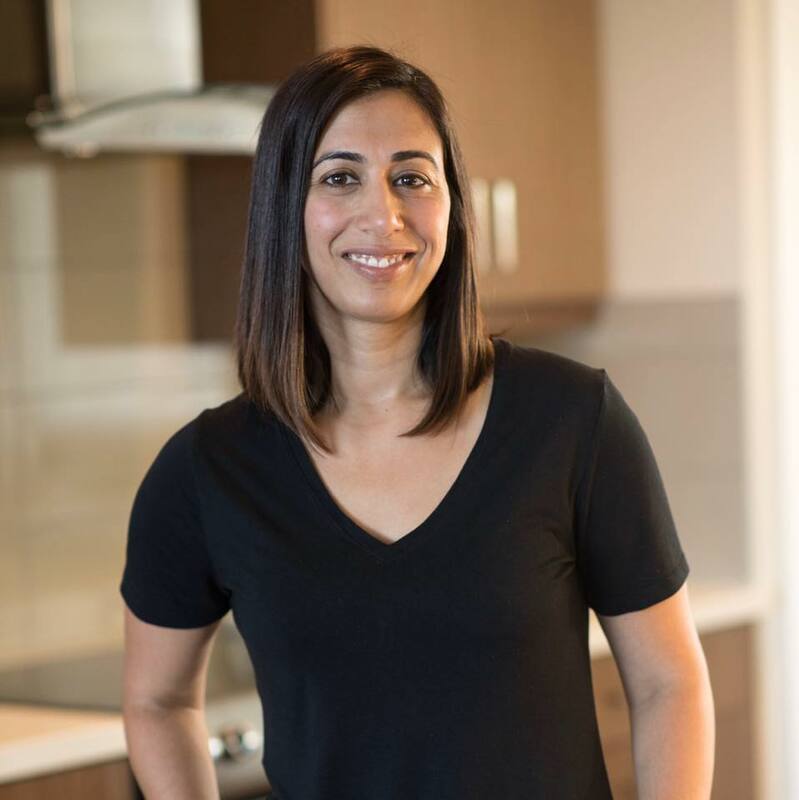 The kids can grab it themselves and it’s packed with protein. Keep cut up fruit and berries in the fridge for an quick and easy hunger solution. Combine it with a cheese string for a well-balanced, filling snack. Sometimes you need a bigger snack. Banana roll-ups are perfect. 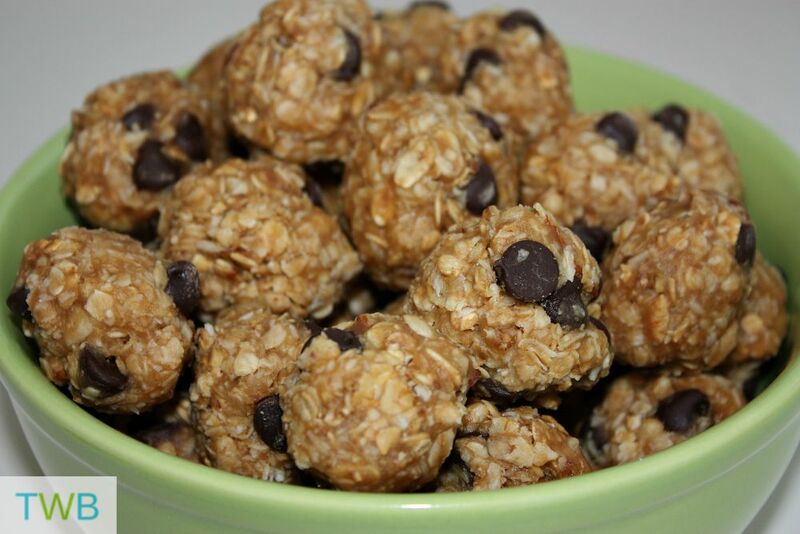 They are easy to make, healthy and portable so you can eat them on-the-go. Everyone loves cookies so make a big batch. Then keep half on hand for grab and go snacks and freeze the other half for future snack emergencies. 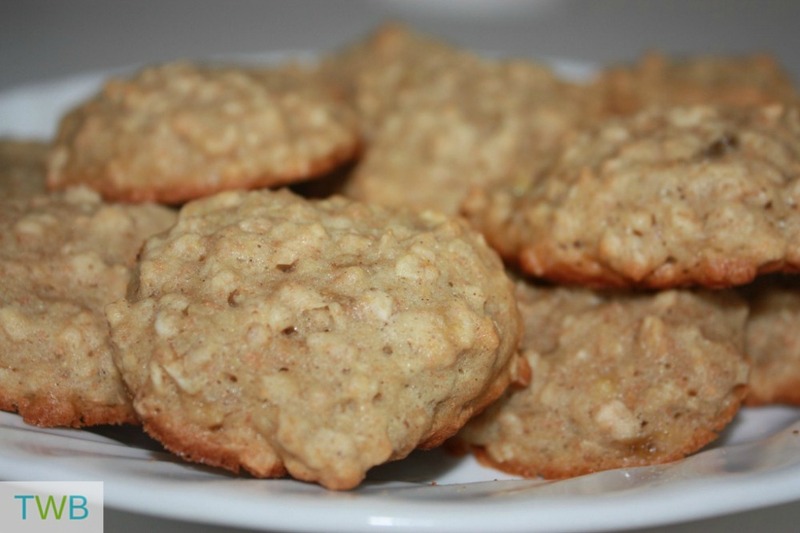 These banana bread cookies are one of our favourites! We can’t forget mini muffins. They are the perfect size for kids and make great snacks when you are out and about. 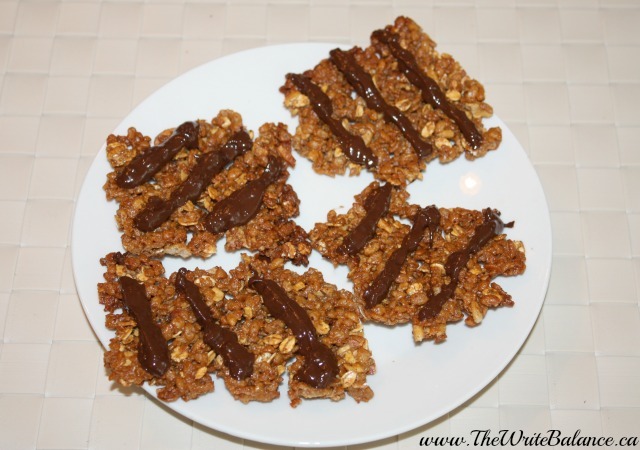 If your kids like crunchy snacks, these, crispy rice bars are great! They are simple to make and totally delicious. Cut up and kid-sized vegetables are another great snack option to take with you when you’re out. Some of our favourites are carrots, celery, snap peas and cucumbers. Get your kids to help you make this really easy trail mix. 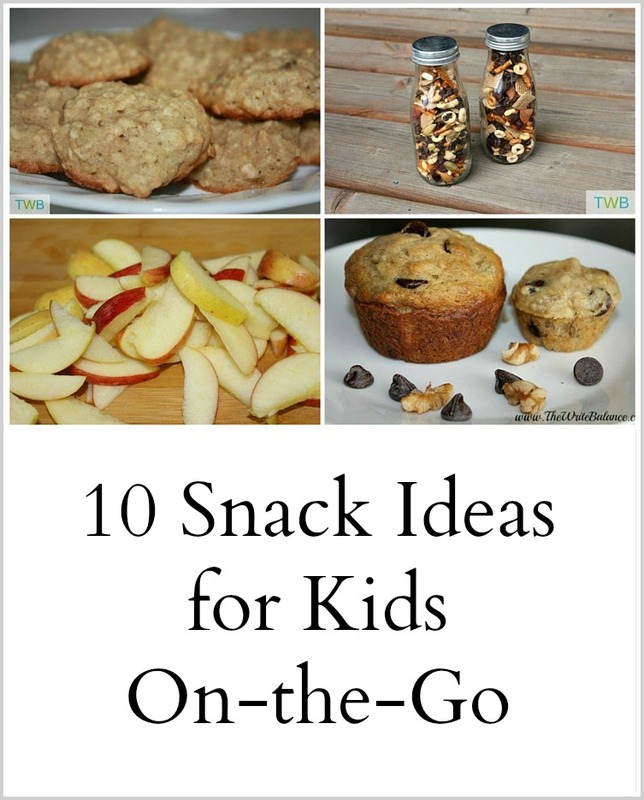 There are endless options for the ingredients and the it makes a great snack to for traveling. These are great for snack emergencies. I keep a few in the truck of the car for those days when I hear, “Mom, I’m hungry!” and for some reason, I don’t have any snacks in my purse! We usually buy these ones from Costco. Keep a couple of these on hand in your bag when you are out with the kids to avoid any snack emergencies. That and a water bottle should give you smooth sailing. Do you have any favourite snacks you like to take with you? Yes, there is the mess factor to consider! Very very useful..I’m making those no bake granola balls. Glad you found it helpful Krishna. I hope you enjoy the granola balls, they are really delicious! 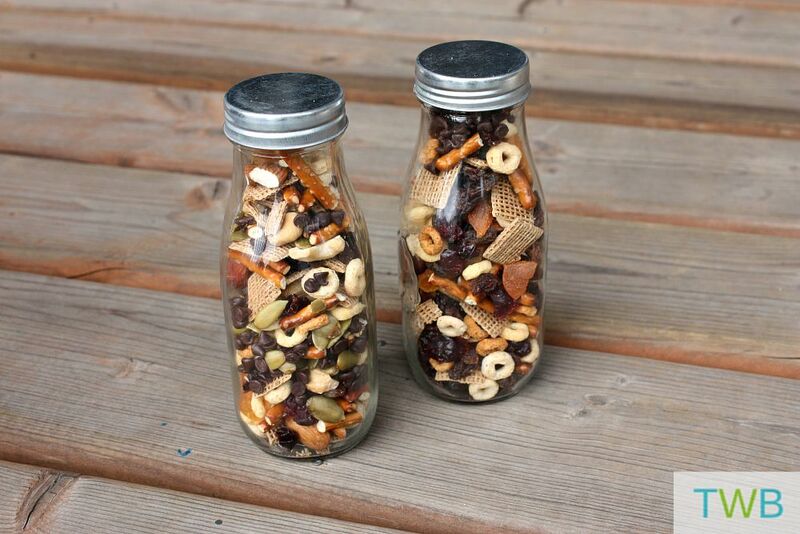 I love the trail mix in a bottle! Great Idea. 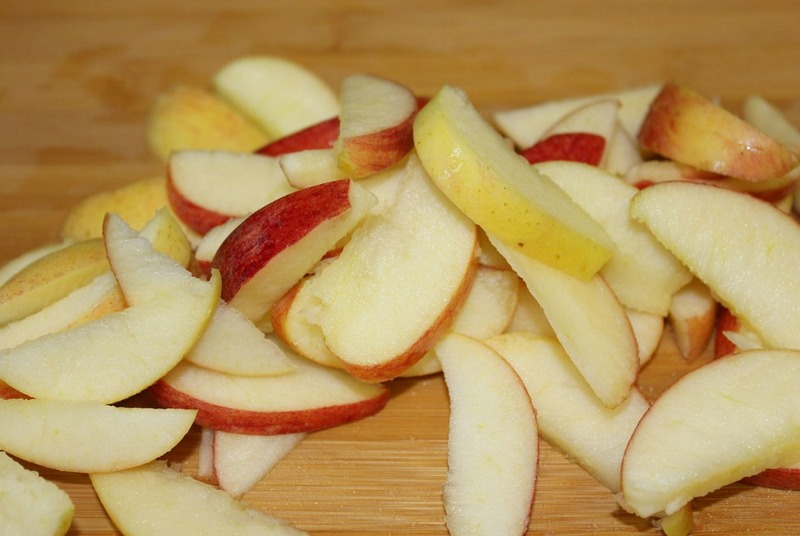 For on the go snacks, I like apples the best – they travel well and can stay unrefrigerated for several hours. I am also partial (not the healthiest choice) to pretzel crisps, just because I love them so. Apples are definitely a good snack Alana! These are great snacks for adults as well. I lived off of fruit roll ups as a kid!